For years BFF Heather and I have created many holiday traditions in our friendship. One of our favorite ones is to visit the gingerbread houses in San Francisco. 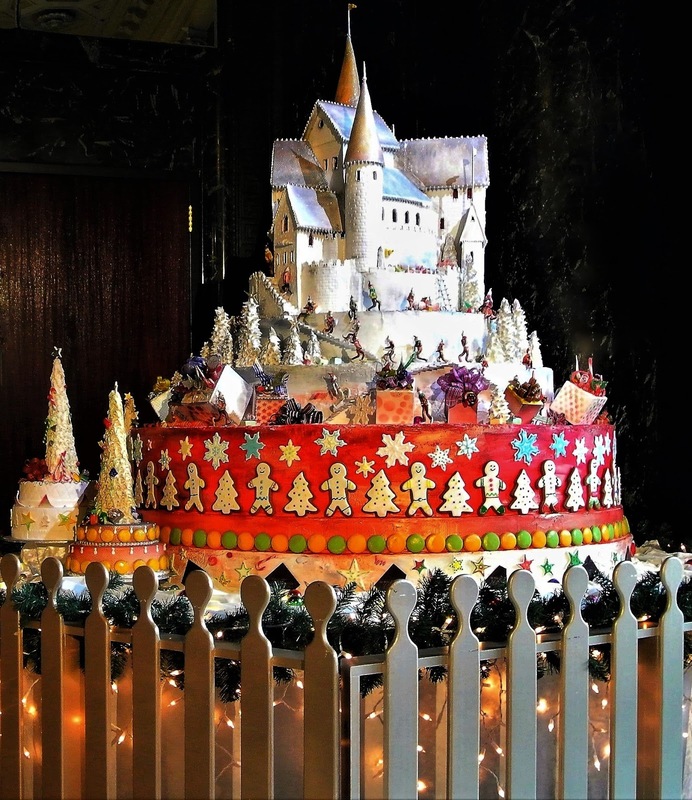 There used to be three gingerbread displays at different hotels in the City: Fairmont Hotel, Westin St Francis and The Palace Hotel. Sadly, The Palace has stopped creating a gingerbread house. Luckily, The Fairmont and Westin St Francis still do. All three hotels are worth a visit, though, in San Francisco. They are all historical and grand. BFF and I look forward to visiting the Westin St Francis every December to see what kind of sugar castles they come up with. There are usually two displays -- a smaller version and a grand castle. They are both intricate and magical. Westin St Francis is right smacked in the middle of everything holiday in San Francisco such as Union Square for shopping where the giant Christmas tree and Menorah are on display. There is the ice skating rink and kitties/doggies for adoption on at Macy's windows. Each holiday attraction is just steps away from one another. So this year, after doing a tour of the Museum of Ice Cream (yes, we scored the elusive tickets thanks to BFF! Post to follow soon!) 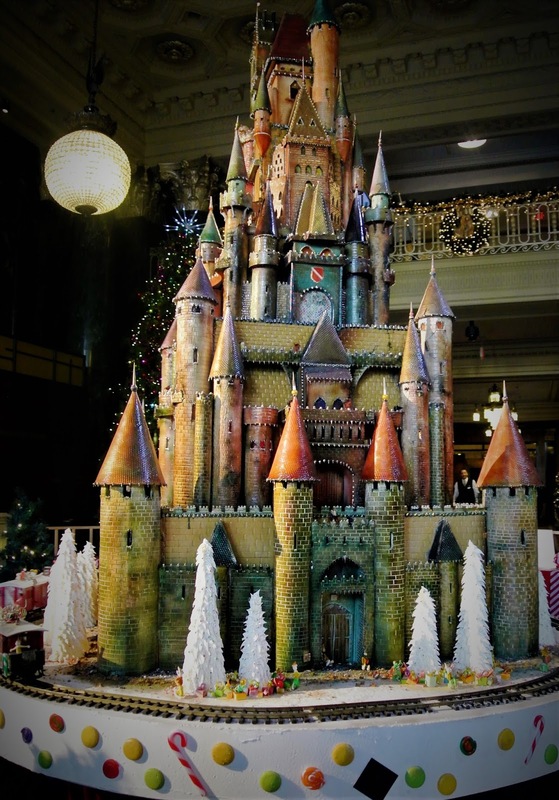 , we decided to do our San Francisco holiday stroll including a trip to our magical gingerbread and sugar castles. And as always, we were transformed into a Christmas fairy land for few minutes. And always this question -- "Are these spectacular castles edible?" According to the pastry chef, they are but they are not tasty. The are made of vinegar, glue and decades of dust as the intricate parts are difficult to recreate every year. If you must break off a piece of these gingerbread houses because it is on your foodie bucket list, just make sure that no one is looking but let us know what it tastes like! Do you have any BFF holiday traditions?